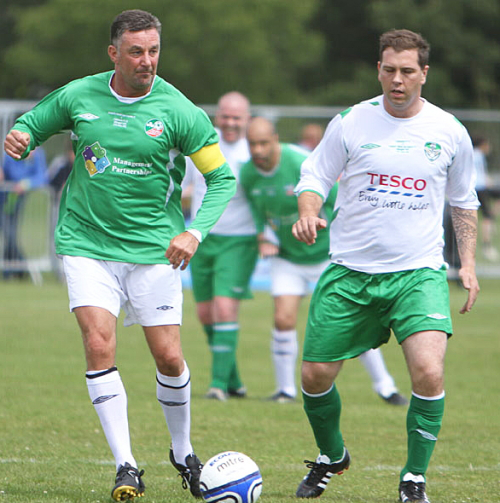 It’s hard to believe but, the club, local community and the broader football population will gather tomorrow at 11.00am to say goodbye to family man, friend, coach, mentor and player, Andy Rice (see below, tussling with John Aldridge in our June 2011 International Legends match). Andy is fondly remembered in the club where he always had time for players, parents and officials and always made himself available for chats and photos as necessary. Indeed, those of us working on the website remember his many chats, when he spoke to us about coaching and related initiatives and always had the time to ensure that we understood what was going on in that section of the club. Of course, those of us who will remember Andy most fondly are the cohorts of young players that he took under his wing, beginning as Cubs and Kittens and now teenagers with the club. You will remember receiving your Cubs and Kittens certificates from Andy at the end of each season (Andy doing so below, with the assistance of Pat Finnerty). If you’d like to be associated with a memorial to Andy and contribute to expenses, do visit this Gofundme page where you can read all details, together with many personal tributes to Andy. 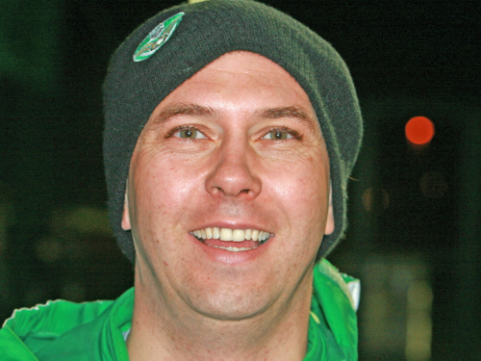 You may also read more tributes to Andy on the Dublin Live website. Please feel free to add your own memory of Andy in the comment box below and we’ll publish it as soon as possible. What we do know for sure is that the angels will be putting their laces through it on their heavenly swards! 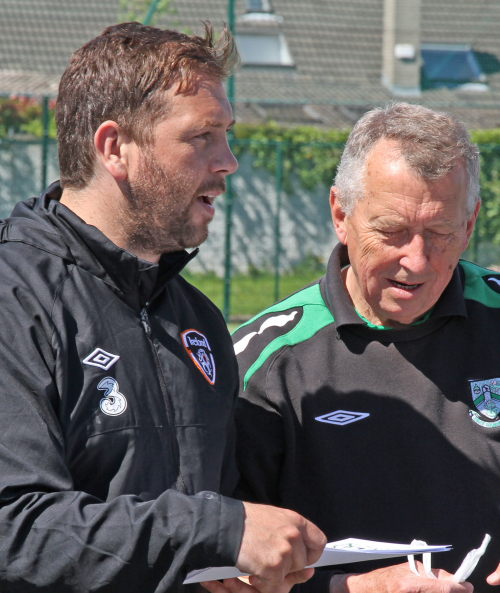 Andy, what a great guy; your coaching was first class… always gave everything… sadly missed.